The VL200 Long Stand Mount EVS (Electronic Variable Speed) lathe is a more economically priced version of the VL200 ASM series Lathe. The electronic variable speed drive gives up to 200% on low rpm and the 1.5kW motor is more than adequate for this size lathe. The three-step pulleys provide 3 ratios 1:1 for small to medium size work, 1:1,5 for medium to large work; and 1:3 for large work. 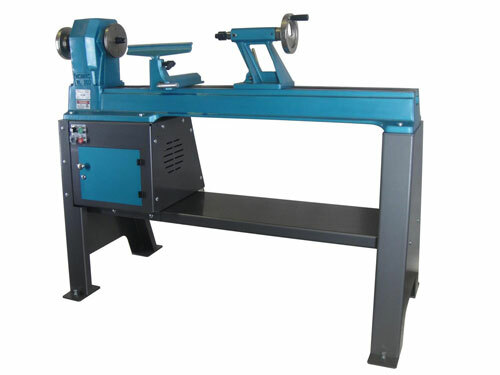 The cast iron lathe is mounted on a 4mm thick steel bolt together stand, which has been designed with a 700mm wide footprint for stability and rigidity. Optional extra magnetic remote switch box and stop bar can be fitted to this lathe.